Mangaluru, Dec 07, 2017: Addressing media here on Dec 6, Wednesday, Actor and founder of Karnataka Pragnyavanta Janata Paksha (KPJP) Upendra has said it is essential that there is transparency and accountability in the political system. Actor Upendra said that in the present situation, elected representatives visited people once in five years only when the elections were nearing. Even developmental works such as road repairs and others are undertaken when polls are nearing. It is necessary to bring about a change in the system, he said. All people wanted a change and corruption-free society, he said, adding that this was not possible in the present system, where elected representatives spend crores of rupees to get elected. They, then, had an obligation to their supporters, which gives rise to graft, he added. It is essential to have a system whereby an elected representative keeps in touch with his constituents all the time. This is not a difficult proposition. In these days of advanced technology, they can make use of social media for this purpose, he said. 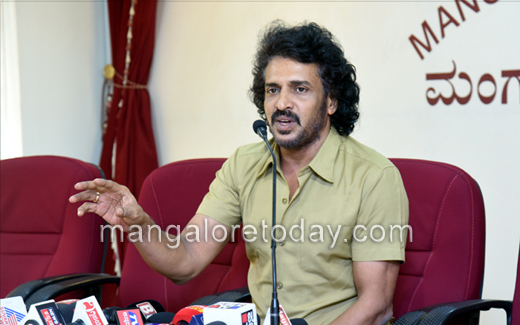 Actor Upendra said his party has already launched an Android mobile app — Prajaakeeya. Moreover, details of his party are also available on the website —www.kpjpuppi.org— and also on Facebook, Twitter, and Instagram, he said. Upendra stated he will release his party’s manifesto by the end of Jan 2018.